Parathyroid Surgery by the Best Parathyroid Surgeons. The surgeons at the Norman Parathyroid Center are by far the most experienced parathyroid surgeons in the world, with unparalleled expertise in the diagnosis and treatment of parathyroid tumors. They are the "Dream Team" of parathyroid surgery performing about 10% of all parathyroid operations in the US annually. 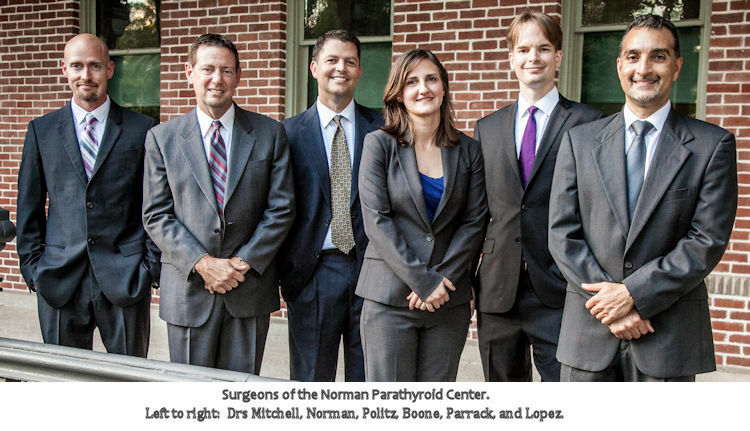 The seven surgeons at the Norman Parathyroid Center have more experience with parathyroid disease and parathyroid surgery than anyone else. All of our surgeons have dedicated their surgical careers to one disease: hyperparathyroidism. All trained at the best surgical centers and all are members of all the most important societies. All have been chosen as "top doctors" and "top surgeons" numerous times. This is all we do, and we perform parathyroid surgery different than all other surgeons in the world, including the fact that every operation has at least two of the best surgeons checking each gland. No other surgeons go through the steps we take to attain the highest level of care which is why we perform about 80 parathyroid operations per week, about 10% of all in the US. Treating patients like a member of our own family is always our number 1 goal, and our promise to you. A short bio of each surgeon is below. We are the world-wide leader in parathyroid surgery. Our surgeons perform an average of 16-17 parathyroid operations per day, nearly 80 per week, about 3,900 per year, with an expected cure rate of over 99% and a complication rate near zero. Nearly 100% of patients will go home within 2 hours of their parathyroid operation. Nearly all patients will have a scar that is only 1 inch that will be nearly invisible within 6-9 months. The average operative time is 19.6 minutes with the most parathyroid operations taking between 16 and 25 minutes to evaluate all four parathyroid glands. Even patients with a negative sestamibi scan and a negative ultrasound can expect a mini-operation that takes 19 minutes on average. We perform the same mini-operation on all patients, regardless of scan results. We are unique in that we have two expert surgeons evaluate all four parathyroid glands in virutally all patients--the only way to get near 100% cure. One final note... All seven of our surgeons are fantastic, however they work in teams of two or three on all patients. We don't use surgeons in training to do your operation, you will have two or three of the world's most gifted and experienced parathyroid surgeons in your operations and taking care of you at the hospital. If you want to become our patient, we have a separate page that explains the process and the cost. Click Here. Dr. Jim Norman founded of the Norman Parathyroid Center in 2003, and is recognized as one of world's foremost experts on parathyroid disease and he has treated more parathyroid patients than any other doctor. For over 25 years, he has limited his surgical practice to parathyroid operations only. He developed minimally invasive parathyroid surgery in the mid 1990s, while a Professor of Surgery at the University of South Florida, and is credited with dramatically changing the way parathyroid surgery is performed. 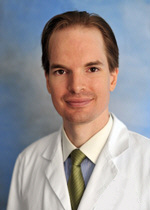 Dr. Norman trained the other surgeons at the center in their unique 4-gland, 2-surgeon mini parathyroid technique. He and his team have performed nearly 40,000 parathyroid operations. It is safe to say that there probably isn't a parathyroid problem that Dr. Norman hasn't seen and this experience is invaluable. Watch the video of Dr Norman performing a 4-gland parathyroid operation (you want your surgeon to look at all four parathyroid glands) where he removes two tumors during an operation that takes less than 13 minutes from cut to band-aid. Read more about Dr. Norman here. Dr. Doug Politz joined the Norman Parathyroid Center in 2005. Originally from Baton Rouge, Louisiana, Dr. Politz obtained his bachelor’s degree from Louisiana State University, where he was an LSU Honor Scholarship recipient. He then attended LSU Medical School, where he graduated with the Chancellor's Award as the Most Outstanding Graduate, was the president of his medical school class, and was inducted into the prestigious Alpha Omega Alpha medical honor society. 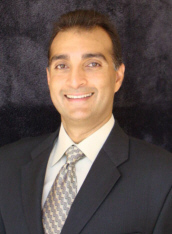 He completed his general surgery residency in 2000 at the University of South Florida, training under Dr. Norman. He was awarded Most Outstanding Resident and/or Resident of the Year on 3 different occasions. After graduating residency, he practiced surgery in Austin, Texas from 2000 to 2004, before returning to join Dr. Norman in 2005. 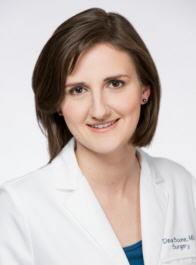 Dr. Politz is married to Dr. Laura Politz, MD (Obstetrics and Gynecology) and they have 3 children. Dr. Jose Lopez joined Drs. Norman and Politz in 2010. He was born and raised in Ponce, Puerto Rico, obtaining his bachelor’s degree at the University of Puerto Rico, graduating with honors. He attended medical school at the Ponce School of Medicine, where he was inducted into AOA national medical honor society. He completed general surgery residency at the University of South Florida, training under Dr. Norman and alongside Dr. Politz. 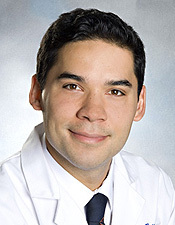 Finishing his residency in 2003, Dr. Lopez completed a 1 year fellowship in advanced minimally invasive surgical techniques at USF. He worked as an attending surgeon at the James Haley Veterans Hospital in Tampa, FL from 2004 until 2010, when he was recruited to join the Norman Parathyroid Center. Dr. Lopez is married and has three daughters. Dr. Deva Boone joined the Norman Parathyroid Center in 2014. After growing up in New Jersey, she attended Cornell University for both her undergraduate degree and medical degree. She then trained in general surgery at St. Luke's Roosevelt Hospital Center in New York City. While there, she received several awards for research and academic performance, including the highest award for outstanding contributions to surgical education and research. Dr. Boone received additional fellowship training in endocrine surgery at NorthShore University in Chicago. She enjoys surgical missions and has provided surgical care to patients in Nigeria, Myanmar, and the Dominican Republic. She oversees our clinical research efforts, and published the largest series of parathyroidectomy patients (over 20,000 from our database). Dr. Boone is married to a software engineer, and they have two children. Dr. Jamie Mitchell was a senior endocrine surgeon at the Cleveland Clinic in Ohio when he left Cleveland to join our staff in Tampa in 2015. Dr. Mitchell went to the College of the Holy Cross for his undergraduate degree and then Georgetown University School of Medicine for his medical degree. He completed general surgery training at Beth Israel Deaconess in Boston, a medical center of Harvard Medical School. He then underwent specialty training in endocrine surgery (thyroid, parathyroid, adrenal) at the Cleveland Clinic in Ohio. During his training he won multiple awards for his research. He stayed on faculty at Cleveland Clinic for 7 years as a senior thyroid/parathyroid surgeon until early 2015 when he moved to Tampa to join our team. Dr. Mitchell has published over 30 scientific publications and is a frequent speaker at national meetings on advanced ultrasound techniques for neck tumors. He has two children. 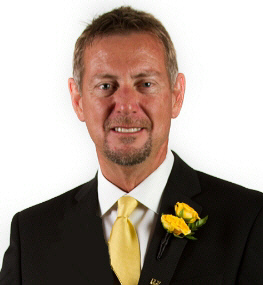 Dr Kevin Parrack came to us in 2015 from the faculty at Columbia University. Dr. Parrack attended New York University (NYU) for his undergraduate degree and then Stony Brook University for his medical degree. After general surgery training at New York Presbyterian Hospital of Columbia University, he completed a fellowship in endocrine surgery at the Cleveland Clinic. After several years on faculty in the Division of Endocrine Surgery at Columbia University, he joined the Norman Parathyroid Center to commit his career to parathyroid surgery. Dr. Parrack is married to a vascular surgeon. Dr Dan Ruan joined our team in 2016 from Brigham and Women’s Hospital, a hospital of Harvard Medical School, where he was the Director of Endocrine Oncologic Research and program director of the endocrine surgery fellowship. Dan received his bachelor’s degree at Middlebury College and went to medical school at Duke University. He completed surgical residency at Brigham and Women’s Hospital of Harvard, and then an endocrine surgery fellowship at UCSF before returning to perform parathyroid, thyroid and adrenal surgery at Brigham and Women’s in 2008. Always seeking leadership roles, Dr. Ruan is active in the American Association of Endocrine Surgeons, has published extensively on all endocrine surgery topics, and presents frequently at national endocrine meetings. He has received many awards for his research and teaching throughout his career. He is married to another successful physician, and they have 2 boys. The Norman Parathyroid Center is dedicated to parathyroid disease only. We operate within the new Parathyroid Center at Tampa General Hospital, a new wing of this large hospital dedicated to the treatment of parathyroid disease (yes, we have the top floor of a new wing of the hospital all to ourselves!). Drs Norman, Politz, Lopez, Boone, Ruan, Mitchell, and Parrack are the only surgeons in the world that limit their practice to parathyroid disease. And the best Thyroid Cancer Surgeon too! Our patients are very fortunate in that Dr Gary Clayman, the world's most respected thyroid cancer surgeon, joined our staff in September, 2016. He opened the Clayman Thyroid Cancer Center within the same Institute with the Norman Parathyroid Center. Thus our parathyroid patients are afforded access to the best thyroid cancer specialists should they need it. They have a very comprehensive thyroid cancer website. We have an entire page on Thyroid Cancer in Parathyroid Patients. *Note: The statistics on this page do not guarantee a good outcome for every patient, they simply reflect the fact that we do LOTS of parathyroid operations and our expertise allows us to have exceptional results. Our anesthesia team has done thousands. We've done thousands. BUT--Every patient is an individual and will be treated as an individual to have the best results with the lowest possibly risk and the highest possible cure rate. These excellent results also shows that we follow our patients so we always know how we are doing. We don't guess! How to become a patient of the Norman Parathyroid Center and have our doctors remove your parathyroid tumor. See our MAP of where our 39,000++ patients come from. Some are probably your neighbors! COOL! Watch the surgery video. It is the best teaching tool we have. There is no blood. Mini-parathyroid surgery--what is it, and why it is so much better than regular parathyroid surgery. YEP, everybody can have mini-parathyroid surgery. You do not need a positive scan to have a mini operation. If your doctor says you do... they are a decade behind the times. Read our blog for interesting parathyroid stories. THE BLOG HAS GREAT STORIES!